Contemporary Art Room Gallery is proud to announce their 1st “Black & White” Online Art Competition for the month of April 2018. This is an international competition and artists from around the world are welcome to submit their work. 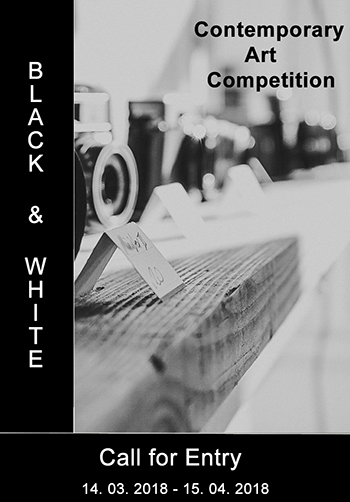 Black & White theme in this competition will be strictly applied and only works in black, white and or shades of gray will be accepted. All visual art mediums are acceptable (painting, photography, drawing, sculpture, digital, prints, fiber art, collage or installation art) except sound and video art. Fee is $15 for 2 images of artwork. You may enter more than once,there is no limit to the number of images that an artist can submit. Payment must be made via Pay Pal. The deadline to apply to this art competition is April 15, 2018. <p>– Images will not be resold, exchanged or copied from this site.